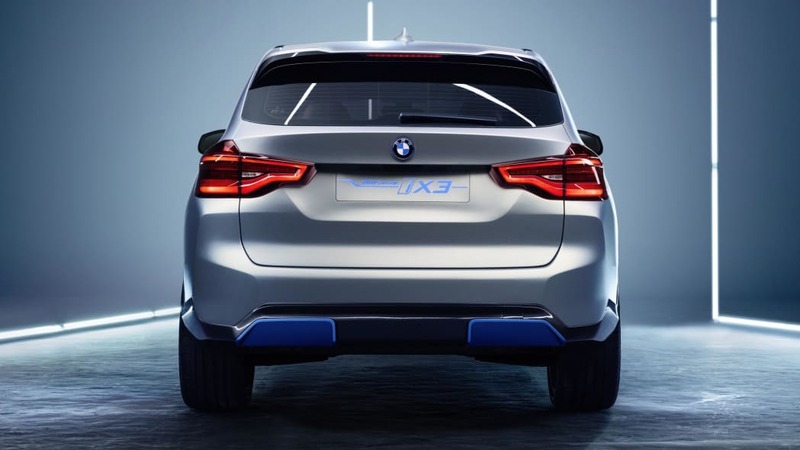 BMW has unveiled the Concept iX3, a fully electric version of the X3 compact crossover SUV. 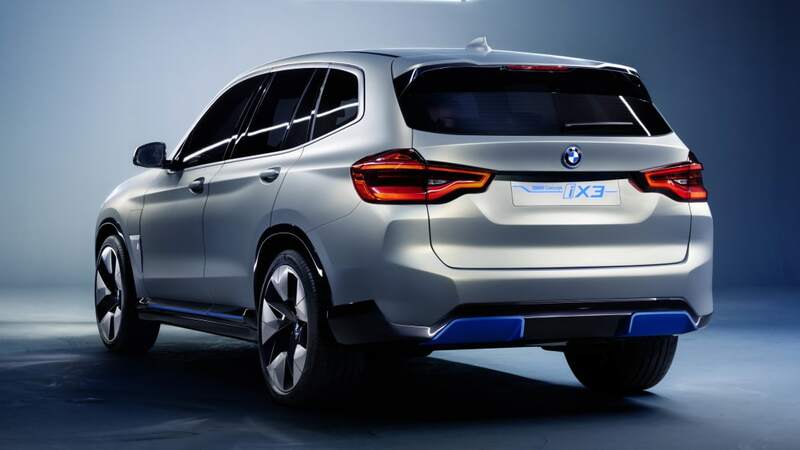 It's what you would expect of an electrified version of the current X5. It has a similar shape but with a few more futuristic and unusual design details. 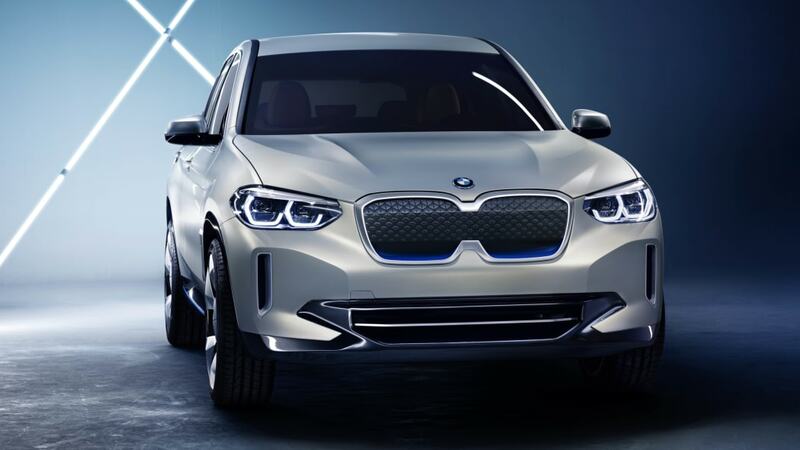 Among them are blue highlights pulled from the other BMW i models, and a revised grille. 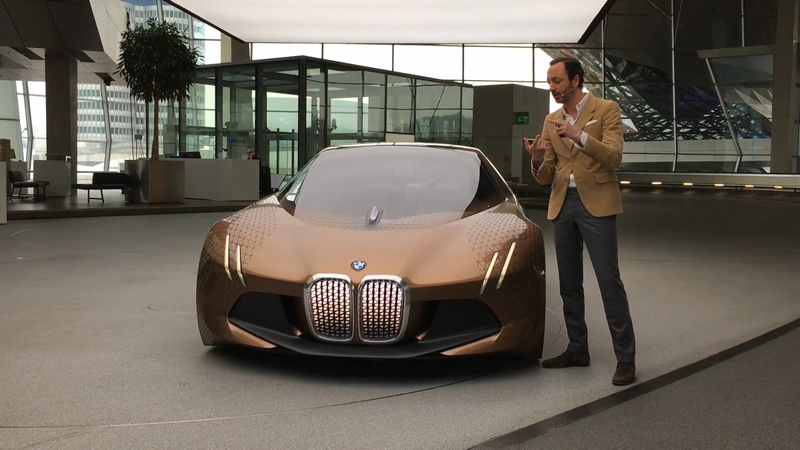 The grille borrows the connected kidney look from the i Vision Dynamics concept. 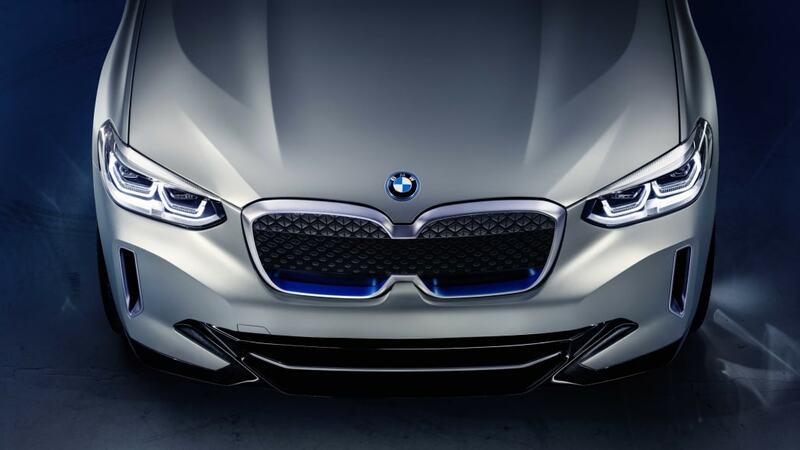 That grille is also partly filled in for aerodynamics. 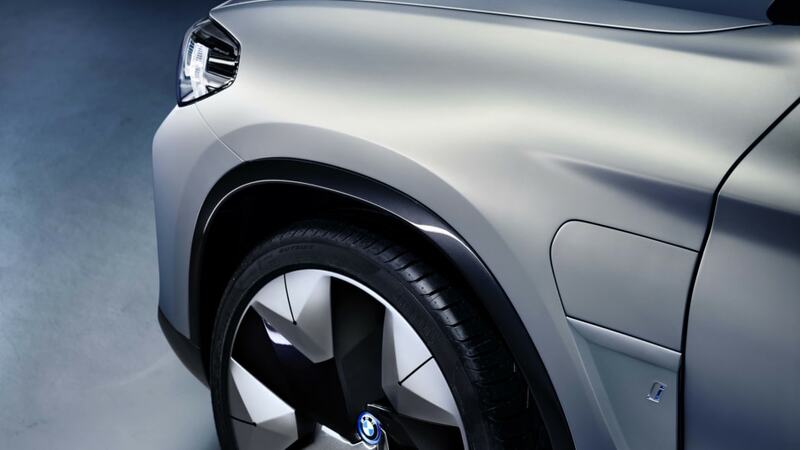 Though this is a crossover, expect the production model to look fairly similar. 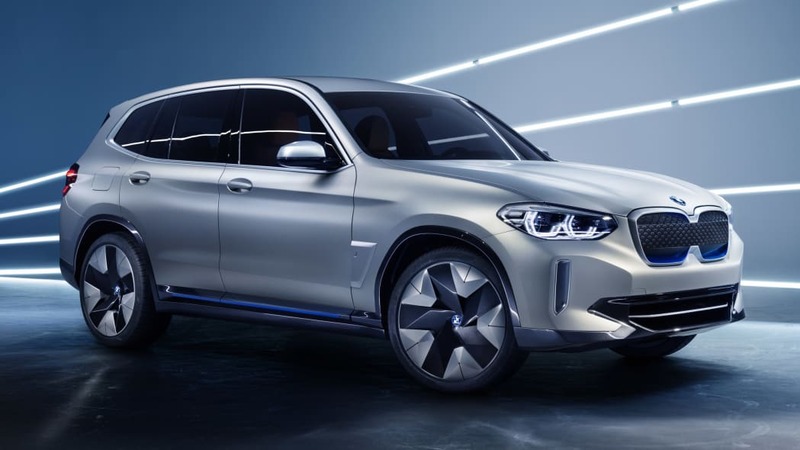 This concept also gives us an idea of what to expect in the way of performance and range from the eventual production model. 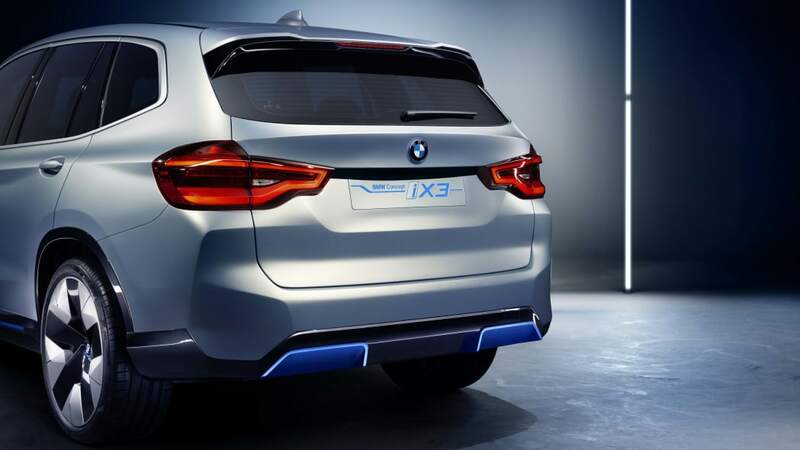 It features an electric motor that produces a healthy 268 horsepower, which is 20 horsepower more than the standard turbocharged four-cylinder X3. 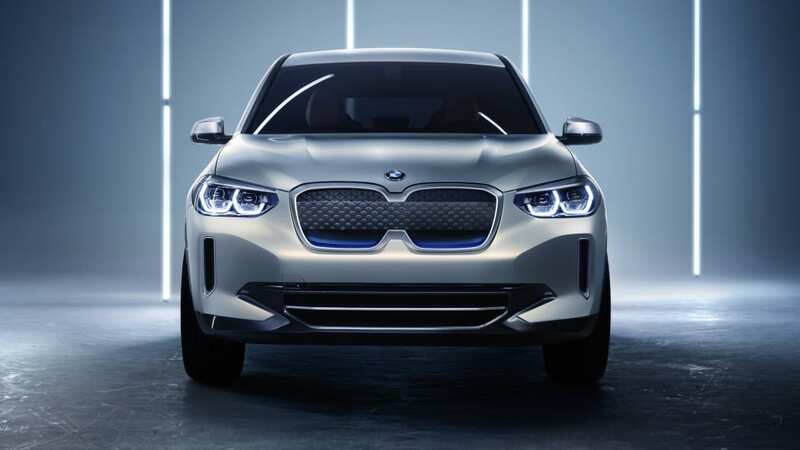 The motor is supplied with juice from a 70 kWh battery that BMW says will give the iX3 a range of about 249 miles using the WLTP cycle. This cycle produced similar range numbers to the U.S. cycle in regards to the Chevy Bolt EV, specifically 240 miles on WLTP and 238 on EPA. But there's a bigger discrepancy between the Kona Electric's WLTP estimate of 292 miles and the U.S. estimate of 250 miles. 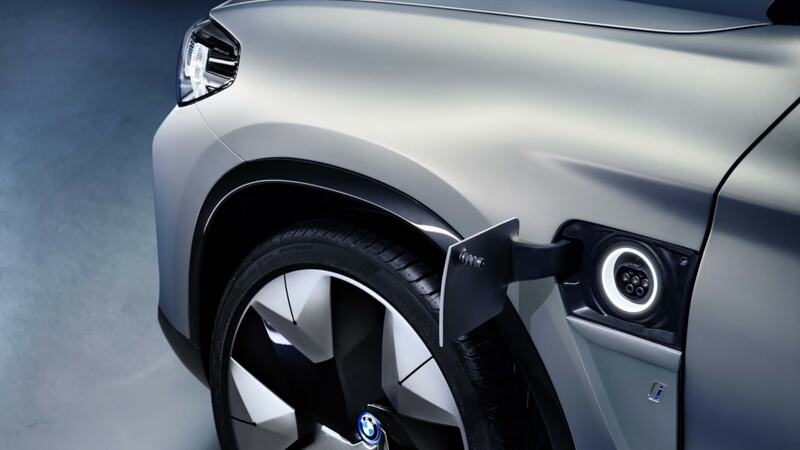 BMW says the iX3 also supports fast charging with up to 150-kW chargers and that it can be recharged in 30 minutes using one of those chargers. 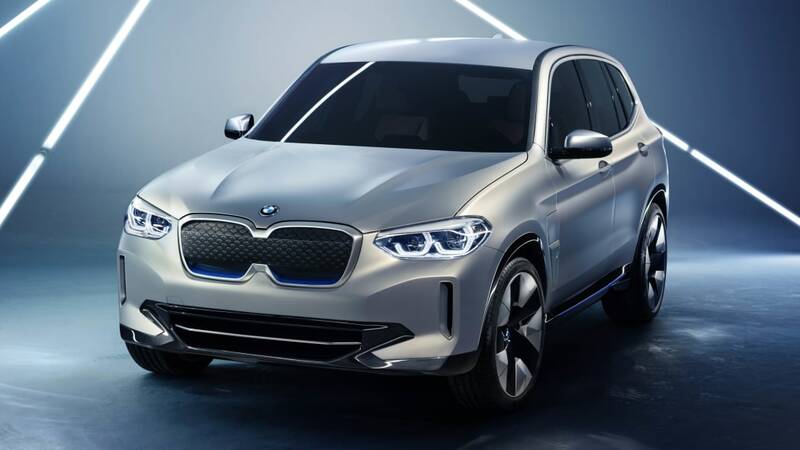 The production BMW iX3 should appear for 2020. 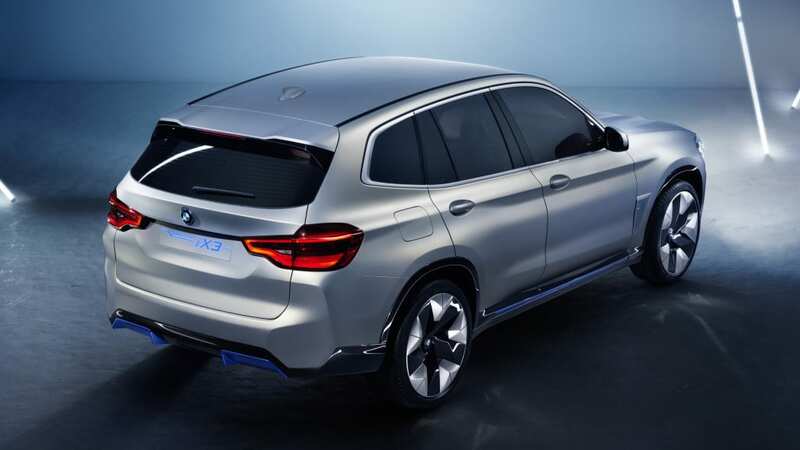 BMW announced that the car would be produced in China. 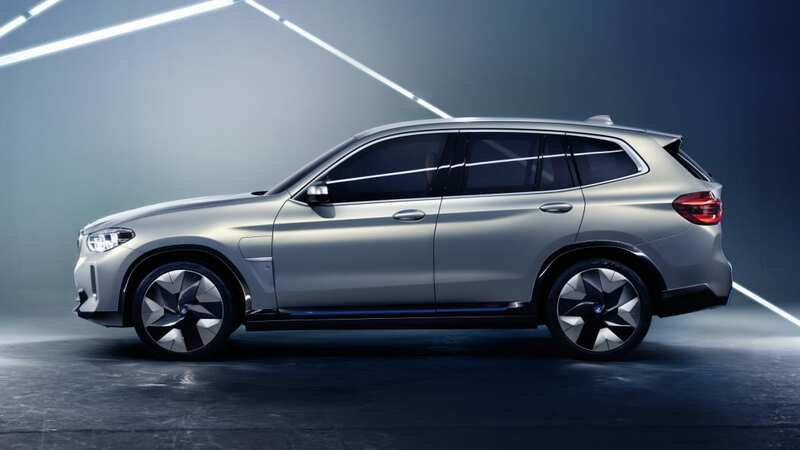 The powertrain will likely be used in other forms for additional BMW models including the production version of the iNext. 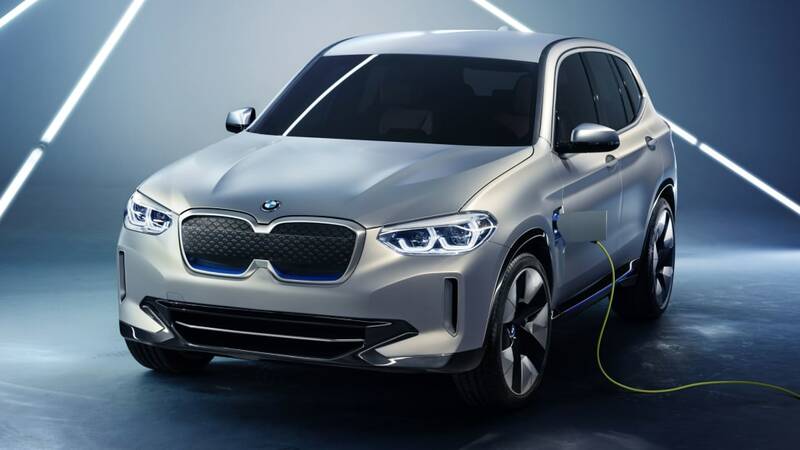 BMW also reiterated that its future products will be designed with powertrain flexibility in mind, which will be important for the company to hit its goal of 12 fully electric models by 2025.